The Cheekwood Martin Shallenberger Artist-in-Residence program brings national and international artists to Nashville to create and exhibit site-specific works at Cheekwood, while allowing artists the opportunity to interact with staff, visitors, and the arts community throughout the creative process. With its renowned museum and gardens, Cheekwood offers the Martin Shallenberger Artist-in-Residence a unique resource which broadly reflects nature and sustainability within a global art practice. The residency program provides a studio and lounge area for the artist while they are in residency. Across from the studio is the gallery space where the Artist-in-Residence exhibition is traditionally installed. All of these spaces are located in the Frist Learning Center, also the historic stables and garages of Cheekwood. The Frist Learning Center also houses the Cheekwood Education Department. Mr. Shallenberger’s connection with Cheekwood has great length and significance. 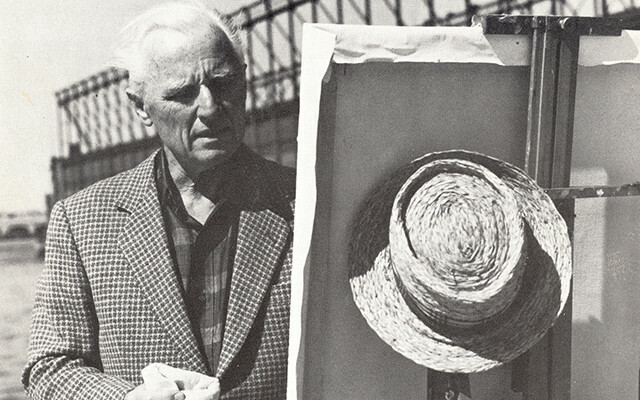 In June 1971, Shallenberger, the artist, exhibited 40 paintings at Cheekwood. Visitors who attended this exhibition were afforded a worldly experience with Shallenberger’s renderings of New York, Paris, Florence, Amsterdam, and Cologne. As a citizen of the world, he enjoyed experiencing and capturing the many sites he visited on canvas. Shallenberger knew the world of art had, and would continue to expand without borders. The residence program is made possible with the generous support of a private foundation. 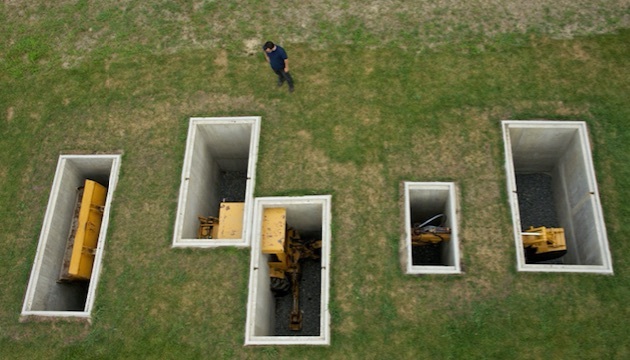 David Brooks, A Proverbial Machine in the Garden, 2013. Dynahoe tractor, concrete, earth, landscaping and steel grates. Image from Storm King Art Center.